Class AB amplifiers, based on silicon LDMOS technology. 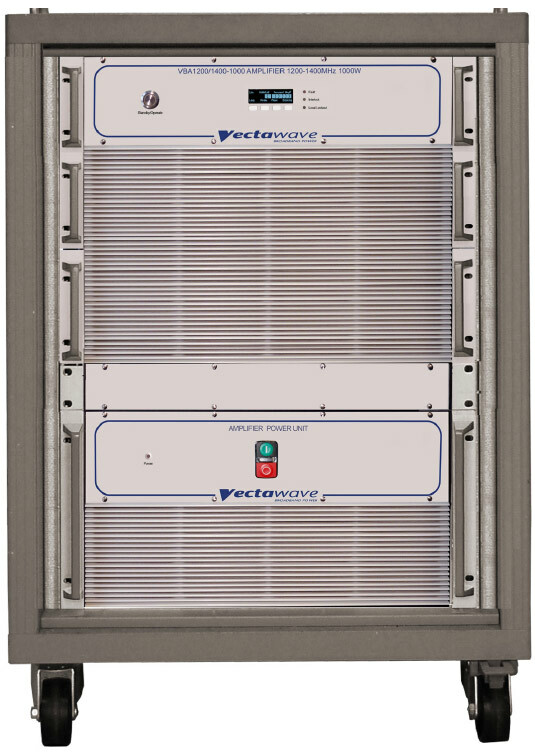 Designed to deliver 600V/m radiated field when used in conjunction with a suitable antenna and chamber, the amplifier is designed primarily to address automotive radar pulse EMC test standards, but also suitable for high duty cycle radar applications such as radar imaging. Forward and reflected power ratios are indicated via the multifunction front panel display.